2. Drive about 4.3 miles, the shop will be on your left, across a restaurant called The Hubb. 2. 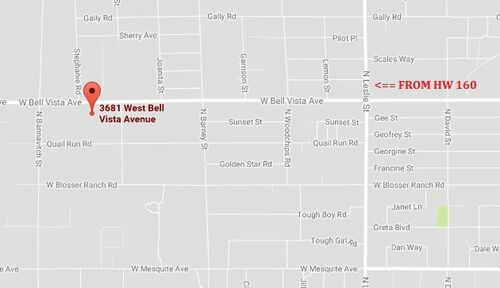 The road name changes for Bell Vista Ave, drive about 18 miles, we will be on your right, across restaurant The Hubb. Customers service along with their workmenship was great! © Copyright 2019 Top Notch Repairs, - We do It RIGHT! Business Address: 3681 W Bell Vista Ave, Pahrump, NV, 89060, USA -- Telephone: (775) 751-1007 -- Email: info@topnotchrepairs.us. Medias shown on this website are for online viewing on this website only. It is strictly forbidden to use them in any other way.